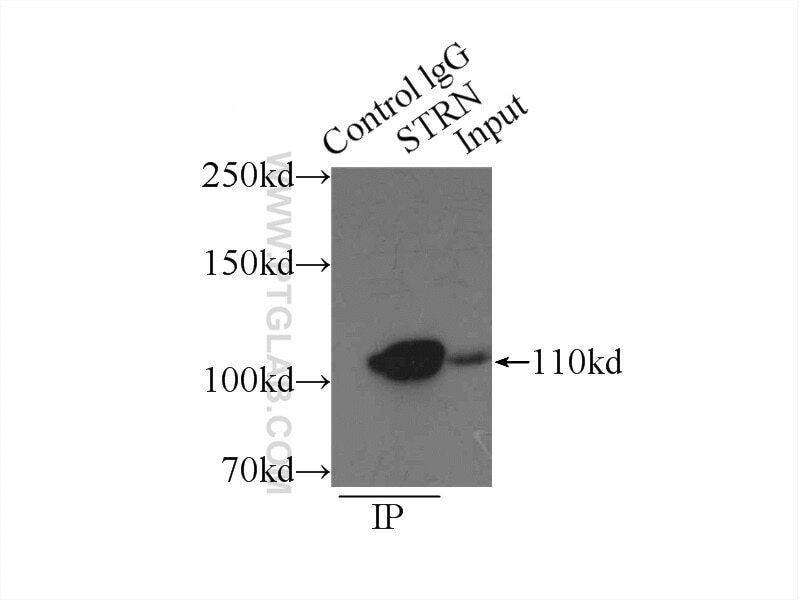 IP Result of anti-STRN (IP:21624-1-AP, 4ug; Detection:21624-1-AP 1:1000) with mouse brain tissue lysate 8000ug. 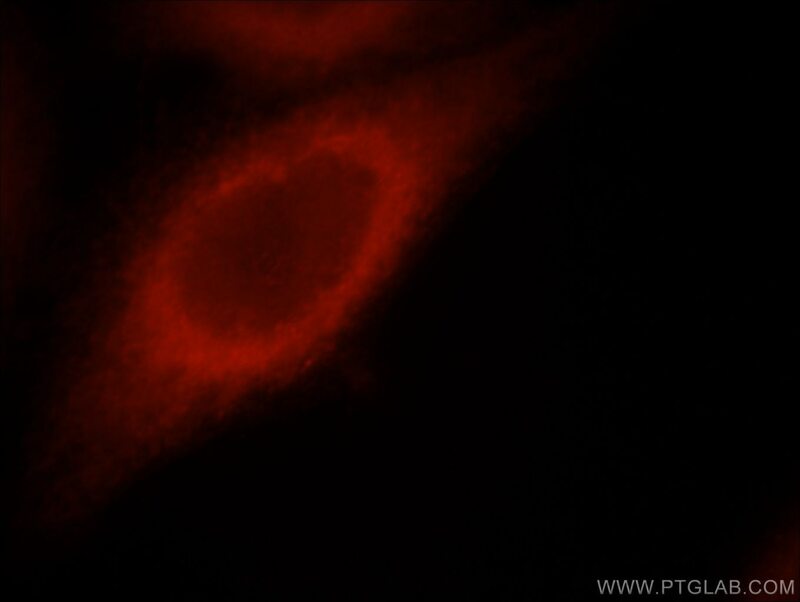 Immunofluorescent analysis of Hela cells, using STRN antibody 21624-1-AP at 1:25 dilution and Rhodamine-labeled goat anti-rabbit IgG (red). STRN (Striatin), a 780-amino acid protein, was identified and cloned more than a decade ago. In adult mammals, striatin is mainly expressed in neurons of both the central and peripheral nervous systems with very high levels of expression in the striatum, hence its name. STRN-ALK fusion may be a potential therapeutic target in the aggressive forms of thyroid cancer (PMID: 24475247). Heavy Metal-Induced Metallothionein Expression is Regulated by Specific Protein Phosphatase 2A Complexes.